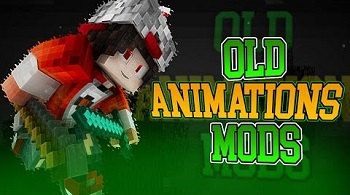 Minecraft mods – the ollections of thousand of mods for you - These mods, packs, tools and plugins are created by so many great creaters from minecraft forums. Hope you guys enjoy it in #Minecraft Mods - 9lifehack.com. Leave me a message if you have any question. Dab Mod is created by Mr_Crayfish. To Dab, press R while in-game. You can change the key in the controls menu. This is a simple mod which allows players to Dab in Minecraft. This was created as a part of Mod Week (an event where MrCrayfish created a small mod everyday for one week). This mod requires the RenderPlayerAPI in order for it to work. 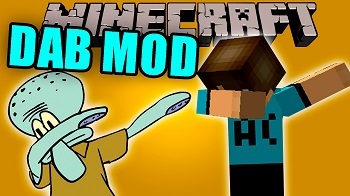 Dab Mod 1.11/1.10.2 is a simple mod which allows player to Dab in Minecraft! Simply press R while in-game to Dab! Show your ultimate savage! Hey, guys! Check out this awesome mod because Minecraft lovers wouldn't miss it for the world! 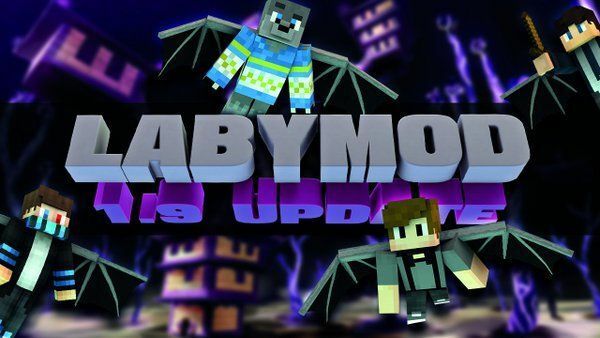 Laby Mod is like an EVERYTHING-IN-ONE mod, which means it comprises countless cool features and settings, with the goal is to enhance your experience, and also new update compatible with all versions 1.9.4,1.9.2, 1.9, 1.8.9,1.8, 1.7.10. As far as I know, the mod's name is in top 1 search and download at the present. So let's check out quickly what is this about the mod that has made it so popular. Let's go into specific details! LabyMod Chat: simply allows players to connect, talk about everything together in the game. It's possible for them to add, block or delete friends, but there is more. The mod gives you the chance to send images, screenshots or voice chat. In addition, the chat layout is based on Skype, so easy to use, right? Capes & Cosmetics : makes it possible for you to adjust your model however you want! You could find numerous cosmetics and capes in the shop which are available to every LabyMod user. Or you could utilize free cosmetics supplied by LabyMod which are only visible to you. Server features: We’re cooperating with many large Minecraft servers to enhance your gaming experience. Customizable: Adjust your GUI as you want and get many additional information directly in game. LabyMod Installer: You can add different compatible mods by a few simple mouse clicks during the installation. Compatibility with pretty much most mods (including 5zig and others) should be provided and should not cause any issues. However, this will only work on Forge 1.8.9. If you have any issues with a certain mod, please tell me. Please test if issues occur even without this mod. It contains the 1.7 blockhitting animation, the armor turning red upon hit (even improved my last version here) and hearts you lost do not flash up anymore. Also the same scaling for rodsas in 1.7! Also Bow / Potion / ... punching! Also 1.7 sword position in 3rd person when blocking! Do /anconfig or /animations to open the config and disable certain features! If you use 5zig you have to install both as a normal mod (see: How to install) and not use the installer. In some occasions it will cause issues if you have shaders enabled, make sure to turn them off and see if that solves your issue! This mod only contains aesthetic features and should be allowed on every server. However I do take no responsibility. Check out ProjectL for more 1.7 feeling! 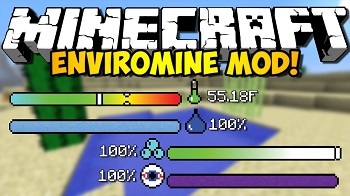 EnviroMine is created by Funwayguy that is all about environmental realism whether it be physics, body temperature, thirst, clean air or even keeping a sane mind in Mincraft’s labyrinth of dark caves, it will test your survival skills and endurance. 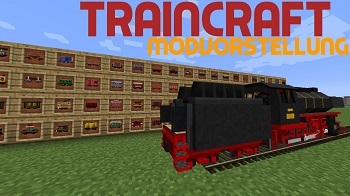 Traincraft is created by Mrbrutal that is a transportation mod with a long past and it's finally back! Traincraft is compatible with Minecraft Forge up to 1.7.10. We're working hard on getting the mod updated to the latest Minecraft release but this will take some time. Traincraft first came out in April 2011. At that time the mod was named Train and Zeppelin mod and only had one «steam» locomotive and one cart. The locomotive had no GUI and you couldn’t attach the cart to the locomotive. The first idea was to have a controllable powered minecart in which you could sit. The mod got so much support that it was decided to continue the adventure and add many more locomotives and carts. Have you ever wanted to transport your blocks and items from point A to point B in a more efficient way? Then Traincraft is your solution! We are working fine on your existing rail-system from Minecraft and Railcraft but we implement our own big switches and curves too! Traincraft adds more than 80 trains, wagons and other moving vehicles to the game. What is Engender Mod ? This is an incredible mod for who want to create a loyal and special army. All you have to do is find a special item, and these mobs which is created with this item will fight for their master - who form them. This army will follow the owner and can do some special stuffs for their master. So why don't you download this mod and make your own army? This wonderful mod won't disappoint you !!!!!!! Illuminati Lucky Block is created by FireLauncher. -It adds a natural generation of diamond blocks! 1. First download and install forge and lucky blocks for 1.8, with lucky blocks version 7.0.1 or higher. 3. 1.3 or higher: Download the latest version of Loot++ and drop it in the mods folder. 4. 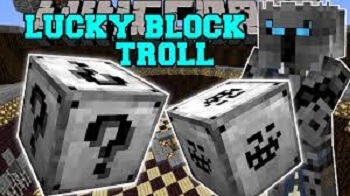 Go to your game folder (where you installed lucky blocks and such), and drag the zip file you downloaded into the addons/lucky_block folder. 5. Load up the game, and that should be all. Time to get lucky! bspkrsCore is created by bspkrs that a required dependency mod in order for any of my other mods to work. It contains the core shared classes used by all mods I release. If you don't install it along with any of the other mods here, Minecraft will crash. You have been warned. If you want to turn off update checking for my mods, you will need to set allowUpdateCheck=false in mod_bspkrsCore.bsprops.cfg. 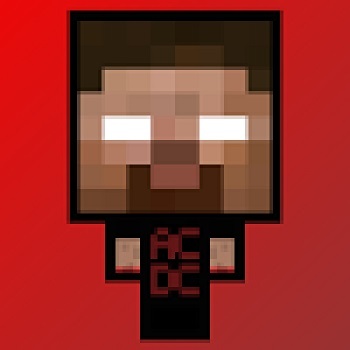 Drop the downloaded .zip file into the mods folder under .minecraft. Minechem is created by jakimfett that is a mod that explores chemistry and some basic physics in the Minecraft world. For the most up-to-date info, please visit the Minechem github.io page. Help fund development by supporting me on Patreon! I made this, because apparently there were no mods with these functionalities in Forge 1.8.9. You can customize them the way you want them to appear on the screen. /simpleconfig to adjust config values. /simplehud to arrange them on the screen (just drag them around).